The pop star's mother almost learned about her daughter's overdose from TMZ. 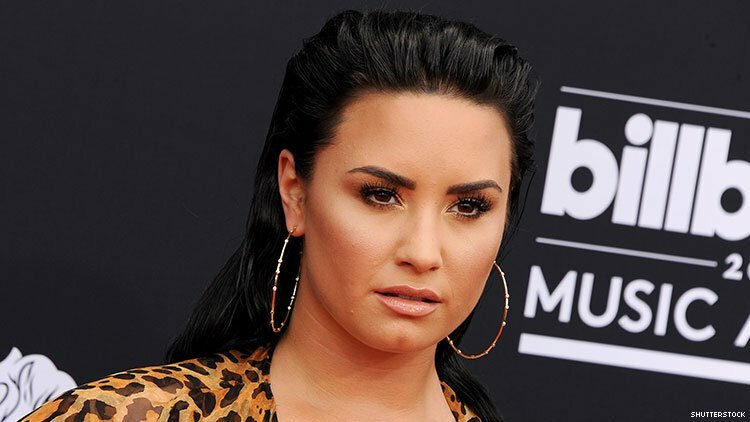 On Maria Menunos’s Sirius XM radio show this weekend, Demi Lovato's mother Dianna De La Garza said that her daughter is 90 days sober following her relapse and apparent overdose this summer. "She has 90 days,” said De La Garza, according to the The Hollywood Reporter. "I couldn’t be more thankful or more proud of her because addiction being a disease, it’s work. It’s very hard. It’s not easy, and there are no shortcuts." The pop star's mother said learned of her daughter's overdose when she started getting consoling text messages. "The one text message that clued me in on what was going on said, ‘I just saw on TMZ and I’m so sorry,'" Lovato's mother learned that her daughter was in the hospital through Demi's assistant. "Before I could get to TMZ, I got the phone call from her assistant and she said, 'We’re at the hospital.' So then I knew, okay, she’s not gone. She’s here. And I said, 'What’s going on?' And the words that I heard are just a nightmare for any parent: 'Demi overdosed.'" Lovato has been out of the spotlight since her overdose, but told fans she needs "time to focus on my sobriety and road to recovery...the love you all have shown me will never be forgotten and I look forward to the day where I can say I came out of this on the other side."